The California Stem Cell Agency, CIRM, has a new board member. 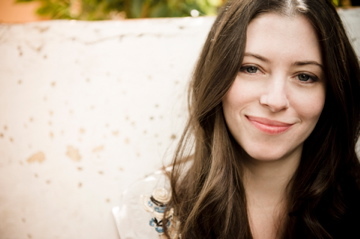 Actress, writer, and Alzheimer’s Disease (AD) advocate Lauren Miller recently joined the ICOC Board of CIRM via an appointment by Governor Jerry Brown. Miller and her husband, Seth Rogen, have both been active as AD advocates and formed an amazing organization to boost AD awareness, called Hilarity for Charity. I invited Miller to do an interview here and she kindly accepted. Paul: Your life has been touched multiple times by Alzheimer’s Disease. What has it been like to have Alzheimer’s come into your life? Miller: It’s been a huge part of my life as a young person. When I was 25 and my mom was just 55, she was diagnosed with early onset Alzheimer’s. Both my mom’s parents passed away with it as well. I was just 12 when my grandfather passed and 18 when my grandmother passed from it. Paul: How did you get connected with CIRM? Miller: In August, Seth and I were interviewed by Maria Shriver, who is just so incredible. We had a chance to talk about advocacy. Then later Maria called and asked if I might be interested in being a board member on CIRM as an Alzheimer’s Disease advocate. I met with JT. I was just beyond thrilled and fascinated with this opportunity. I’ve only been to one meeting so far, but it’s exciting. Paul: As a CIRM Board Member, what are your goals? Miller: I want to be the best advocate that I can be. Get more funding for research. I hope to help young people get more involved in stem cell research. Paul: You and your husband Seth started Hilarity for Charity. What was the inspiration for that and call you tell me more about it? Miller: With Alzheimer’s there is a feeling of powerlessness and there is little hope. Seth and I saw an opportunity to reach out to young people. Comedy is part of our lives so having comedy be a part of it was never a question. Sometimes something is so sad that you have to laugh. Very few young people know about Alzheimer’s and misconceptions about it run deep. Hilarity for Charity is a way to raise awareness, especially among young people. When we are young we might tend to think of Alzheimer’s as an old person’s disease that will never happen to us, but it can happen and people need to learn more about it. Paul: I’m trying to think of movies that have dealt with Alzheimer’s in a touching, effective way and The Notebook comes to mind. Do you think it would help if there were more movies and other popular works about the disease? Miller: A big “yes!” Cancer was taboo and now it’s not so much anymore, but Alzheimer’s still has this stigma attached to it. Portraying it more in books and movies can only be helpful to raise awareness. I think one key message to get out there is “you’re not alone”. Gray’s Anatomy has done a great job with raising awareness too. I’m excited that the classic Alzheimer’s book Still Alice is being made into a movie. Julianne Moore and Alec Baldwin are going to be in it. Paul: Why do you think there’s still this stigma attached to Alzheimer’s? Miller: Alzheimer’s is a disease that takes away your memory but also your dignity. When my mom was diagnosed, she had been a teacher for 35 years and she was still a teacher. Only the family really knew something was going on. She wouldn’t let us tell people about it for a few years. She had been aggressive and active in her life, but this disease stopped that. I think she felt a sense of embarrassment about it and we’d say “No, Mom, it’s a physical disease”, but it’s very hard. Miller: Yes, Seth testified before a Senate subcommittee. I was proud of him for the job he did testifying. He’s just such an incredible person and husband. I thought it was kind of romantic of him. The video on CSPAN of his testimony is now the 2nd most watched on CSPAN. It has got around 6 million likes. Seth also went on Hardball with Chris Matthews afterwards. Chris asked Seth, “Where was everyone?” referring to the fact that only 2 senators were in attendance. Apparently this is about the usual attendance for these meetings by senators, which I find pretty disturbing. Paul: How can people out there help with Alzheimer’s awareness and advocacy? Miller: Do a walk, write a letter to your senator or congressman or to your newspaper. Share your story. In a few weeks we should have a tab up on the Hilarity for Charity website that will be something like “What you can do to help” so if people click on that there will be more information about opportunities to help. “Iris” and “A song for Martin” are other examples of AD-movies.